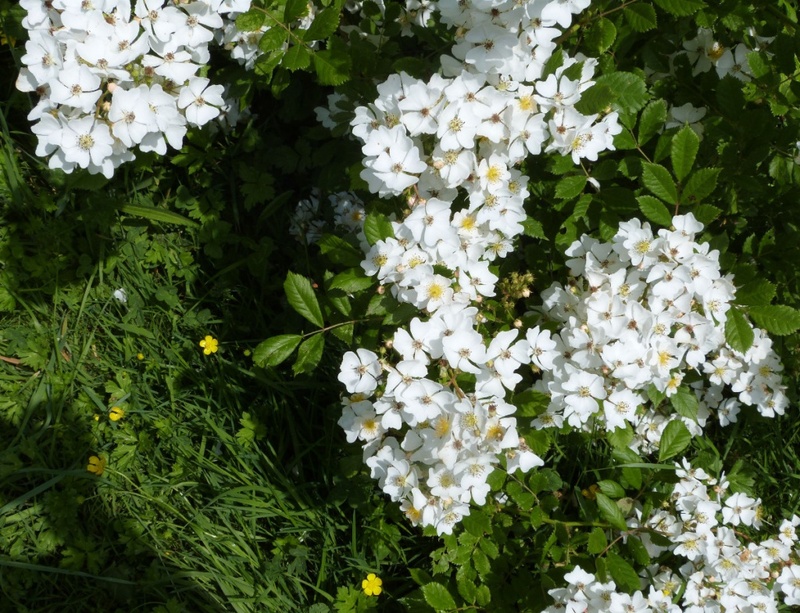 A large, rambling shrub with sprays of abundant white flowers borne on arching branches. 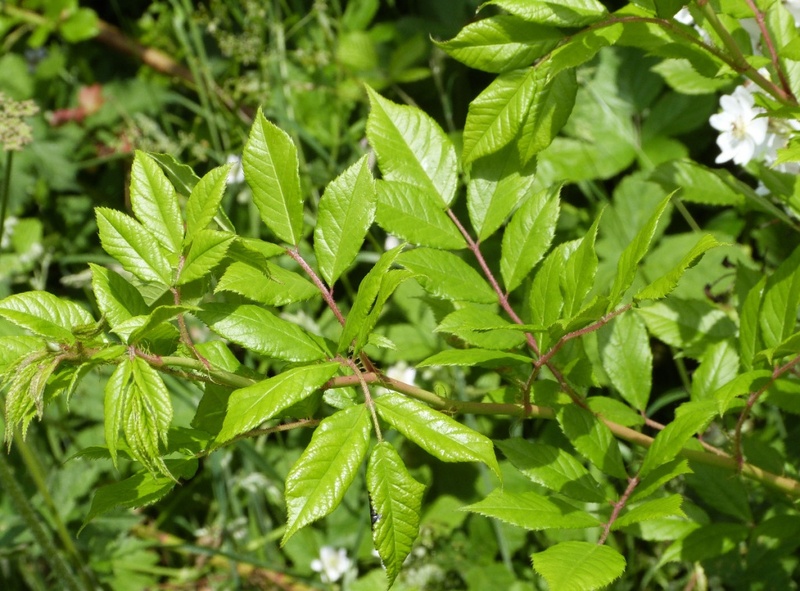 The leaves have seven to nine leaflets. 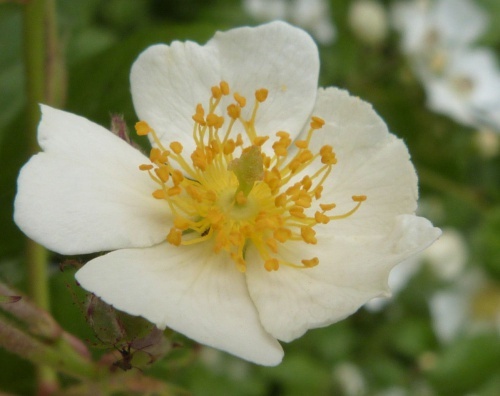 The flowers are almost white, smaller than the common dog-rose and sweetly scented. 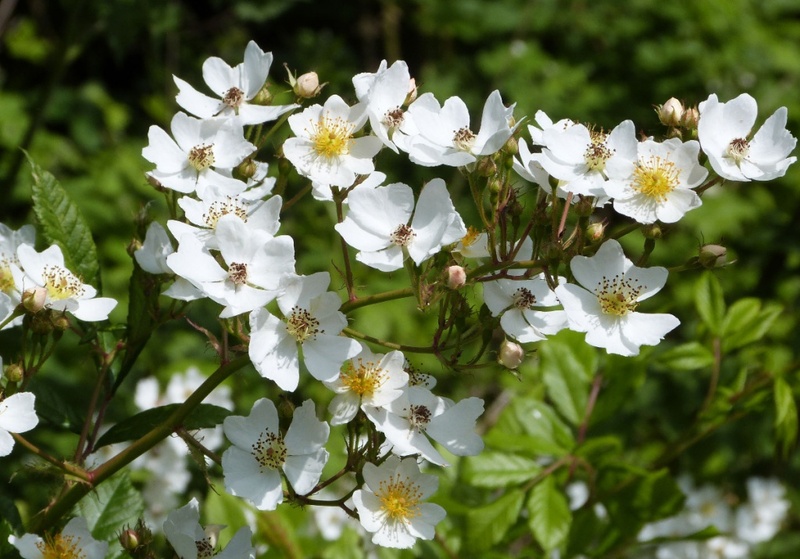 The styles are in a central column. Occurs as a naturalised garden escape in woodland, hedges, copses, scrub and on railway embankments and waste ground. Occasional but widespread in Britain.